CHICAGO - Over the years, Eclipse Select Soccer Club has featured a number of talented players who have earned the opportunity to participate in the id2 Training Camp Program. It is an opportunity for the country’s top youth soccer players to be in an environment where they are identified, developed and scouted for inclusion in U.S. Soccer’s national team programs. Eclipse Select proudly featured seven players for a March 23-26 camp in suburban Indianapolis: midfielder Korbin Albert (Gurnee, Ill.), defender Kate Dobsch (Winnetka, Ill.), forward Devin Lynch (Naperville, Ill.), forward Dakota Lyons (Mettawa, Ill.), defender Emma Phillips (Munster, Ind. ), midfielder Brielle Rochester (Libertyville, Ill.) and midfielder Jenna Stayart (Cary, Ill.). A hallmark of the USL’s growth and fan support has been the budding regional rivalries that have coalesced. Heading into the 2017 season, much anticipation surrounded Saturday’s opening match between newcomers the Tampa Bay Rowdies and second-year Orlando City B in this I-4 Derby. The game and environment lived up to the hype as an Al Lang-record crowd of 7,710 was on hand during the Rowdies’ 1-0 victory. 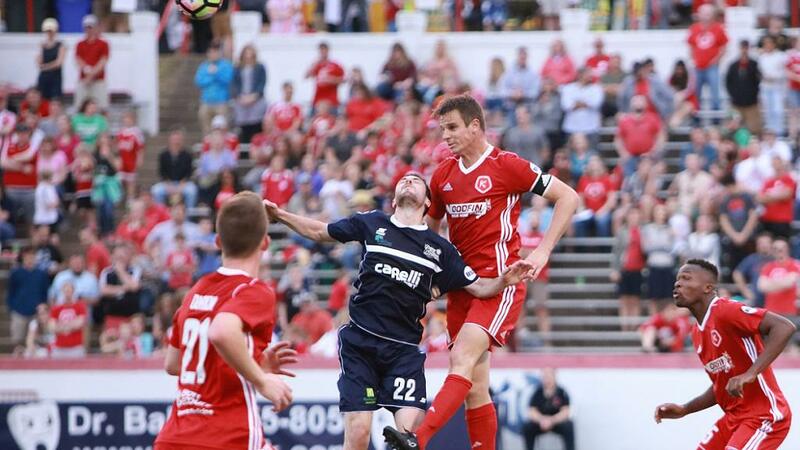 The Richmond Kickers have never been short of leadership among its roster, particularly being a club that qualifies for the USL Cup Playoffs every season. For defender Conor Shanosky, his leadership role took on a new level as he wore the captain’s armband. In front of a City Stadium-record crowd of 8,021, Shanosky delivered the lone goal during a 1-0 victory against the Harrisburg City Islanders on Saturday.